CPT Question Papers with Downloaded Links, Exam Schedule, Syllabus, Marks carried by the subjects, and etc. Students who are studying this CPT course have their examinations in June and as well as in December. This posting will help you to prepare for CPT examinations thoroughly. 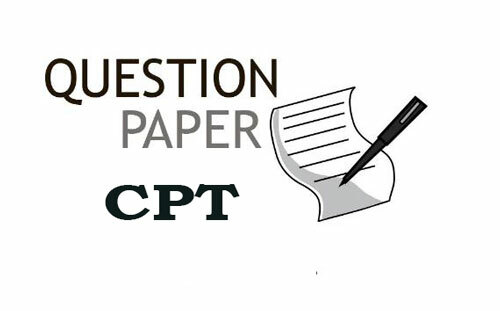 In this posting, you can find the download links for previous question papers of CPT examination as CPT Question Papers. CPT is nothing but Common Proficiency Test conducted by ICAI which is Institute of Chartered Accountants of India. This exam is conducted for selecting eligible candidates for Chartered Accountants Course. The qualified percentage have score minimum of 30%. An aggregate of 50%. The above are the maximum and minimum marks that students have to score at least. 100 marks for morning and as well as evening schedule. 2 hours’ time duration for every session. 1/4th of the mark will be deducted for each and every wrong answer. Both the sessions have to attend and attempt by the respective candidates. Let us see the download links of previous question papers. Students please follow the links and attempt the exam well. CPT Question Papers with Downloaded Links, Syllabus, Subjects, Marks Carried for a subject, Maximum and minimum marks and etc details you can find in this post from this website. 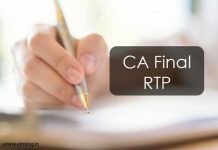 Students who want to pursue CA course need to clear this CPT examination. This question papers are very much helpful to the students who are going to attend the CA CPT examinations. CPT Question Papers with Downloaded Links, Syllabus, Subjects, Marks Carried for a subject, Maximum and minimum marks and etc. 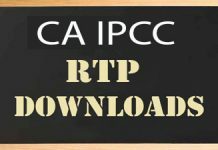 The above are the downloaded links to PDF files of previous CPT exam question papers. You can find answer key along with the question paper. Download those pdf files and prepare well for your examinations. For more details and clarifications CLICK HERE.